and I'm using firefox, it's ok to run. in your case of scenario: 1) it's really the connection issue; 2)you are using MAC? what's the problem with getting Poloniex interested? i am still missing half of my ans. i am using the windows ui client. in the early days the client was slow, but working. i claimed my ans and sent half of it to bittrex. but where is the rest? 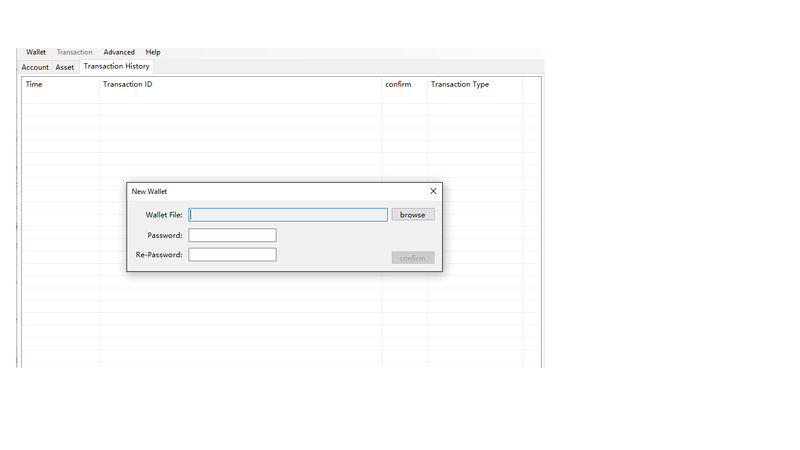 the client does not show any amount; neither the transferred amount to bittrex nor the remaining rest of my ans nor how many ans are left to transfer. at the moment my value of ans is "0". or delete the software (MUST back up your wallet file first) and re-download and re-import the wallet file. no I dont use MAC. But how can i find out if the rest is still there-i can not read chinese. One line shows the aquired ico-amount, one line shows zero. Neither i can find the amount i transferred to bittrex nor the amount of the rest. I am really annoyed about myself that i did not transferred all ans at one time. It would be very heldfull to see where my ans have gone after downloading and updating the client again and again. what am i suppose to do with this. the wallet wants me to browse a wallet file? as long as you don't see your other half being transferred out on antcha, it is still there". there is nowhere the chance to select " reconstruct wallet database". i can just choose: "rebuilt index" and "restore account". i don't know if u are the same client like we do? how can see my balance at antcha if i am not able to read chinese letters. why do i have to make a backup? as far as i remember just at bitshares/openledger/freedomledger it is urgent necessary to make a backup, because i am storing the token on my browser. i have made all the updates, and the more updates i have made, the less does the client work correctly. It wants you to browse to a location to save your wallet file. who and when ant send from ico to wallet? okay. i my case the balance at antcha is showing "0". as i told you before, i claimed all my ans ( at that time the windows-ui was working slowly but it worked ), i received all ans in my ans-windows-ui wallet, i transferred half amount to bittrex - so, why is the balance "0" and does not show the other half of my balance? if i click on rebuild index, it takes some time, but then i can see a balance for a some seconds, then it disappears. so - what is up with my balance?? ?